Last June, for example, Sen. Ted Cruz (R-TX) introduced the Student Empowerment Act, which would expand tax-free 529 college savings plans to include K-12 education expenses for public, private, religious, and home education. Cruz appeared to be especially reaching out to homeschooling families. The Republican senator said in a statement. Homeschool families were cynically excluded by Senate Democrats from the Student Opportunity Amendment, leaving homeschoolers ineligible to utilize the expanded usage of 529 savings accounts. This bill rights that wrong, by re-including homeschool families as equally eligible to use a 529 savings account for educational expenses, to ensure that all families are able to use these tax-advantaged accounts to pay for their child’s elementary and secondary education. 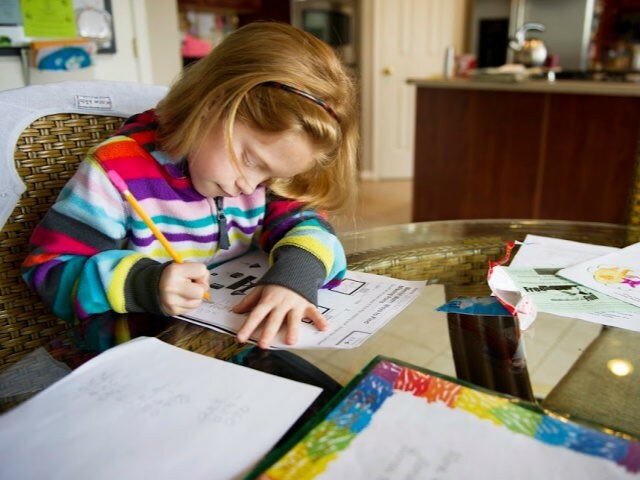 As well-intentioned as that may be, many homeschooling families, and those whose children attend religious schools, would prefer the federal government not become involved in doling out such permissions for school choice. After all, one of the main reasons these families homeschool or enroll their children in private or religious schools is to keep the long arm of the federal government at a distance. It frees people to select the type of education that will best serve their families. It makes educators accountable to the people they are supposed to work for. And study after study proves it typically leads to improved academic outcomes. However, the authors provided what many freedom-loving Americans considered to be a huge warning. While he was the Republican nominee in 2016, Donald Trump initially campaigned on getting rid of the Common Core learning standards and gradually eliminating the U.S. Department of Education. As the general election approached, he then promised a $20 billion block-grant to advance school choice for children living in low-income areas. The Pacific Research Institute’s Lance Izumi told Breitbart News at the time that Trump’s desire to end the teachers unions’ monopoly on government education was admirable. However, Izumi also cautioned that school choice should not come with federal “strings” attached. Breitbart News asked Cruz’s office about the dangers of federal control of private, religious, and home educations once these families are given the benefits of tax-free savings accounts. Is Sen. Cruz aware of any court precedent that makes it very clear that private/homeschoolers/private education entities will be protected from the federal strings that follow public dollars? There seem to be numerous examples where private schools that took public dollars were forced to use federally/state prescribed tests/assessments. How would a Democrat-controlled House, Senate, and/or White House take advantage of federal dollars “following” homeschooled and privately-schooled students? Sen. Cruz has long been an advocate for school choice. By introducing the Student Empowerment Act, Sen. Cruz is leading the way for homeschooling families to use tax-free savings accounts for their children’s education if they choose to do so. There is no mechanism in the bill that would open those who use these tax-free savings accounts to federal oversight — rather, the bill ensures that homeschooling families are not discriminated against by being the only type of educators not eligible to use 529 savings accounts for K–12 expenses. The result would be more freedom and choice for homeschooling families. When public-school personnel turn up the heat and complain that they are forced to take every student who comes their way and that they deserve the public funds to handle all the low-achieving students, Sen. Cruz is going to have a hard time justifying why public funds should go to homeschoolers. I know their side also. They pay taxes and then have to fund their school expenses out of their own pockets, but I believe the public-school lobby will scream, “If the homeschoolers and private schoolers get the federal dollars, then they should be held accountable to the same tests as the public schoolers.” I fear at the last minute the public-school lobby will prevail, and the federal strings will be thrown in as a compromise to get the bill passed. Joy Pullmann, executive editor at The Federalist, also observed the recent treatment the left gave to the Christian school of Karen Pence, Vice President Mike Pence’s wife — even though the school receives no federal funds.